As I was reading through one of my colonial resources, I was surprised to discover The Bachelor Tax! My first thought was, They actually put a tax on bachelorhood? Turns out, indeed, they did! Life in colonial America was difficult. Families and communities depended on each other for survival. The challenge of forming new towns, farming the land, and learning basic survival skills were often more than the colonists could handle. Communities desired marriages as soon as young people were of age so they could make their own way and be less of a burden to families. The more children they produced, the more free workers they had to help on the farms and to go into trade. Men who were unattached from the responsibility of caring for a wife and family were thought to be too easily enticed into mischief. They were less likely to be significant contributors to society and the economy. Therefore, a tax on bachelorhood was established in several colonial communities to help entice young men into marriage. In addition to the Bachelor Tax, unmarried men were treated with other inequalities to induce them to marry. Laws were created to limit their freedom. Positive incentives were also established to encourage matrimony. For example, in Connecticut bachelors were not permitted to have their own homes. In Salem, North Carolina, single men couldn't own land or a home. They were required to live at the Single Brothers House until they married. It was the same for the women, they stayed in the Single Sisters House until they married. They were not allowed to live at home with their parents after they reached the age of fourteen. In New England married couples were rewarded with land grants. While marriage customs varied from religion to religion, marriage laws also varied from state to state, as well as from county to county within states. Were you aware of the Bachelor Tax? Do you know if your state or city once initiated a Bachelor Tax? This is just amazing. I'd never heard of it and had to look it up in Massachusetts. Indeed, they did have a bachelor tax and for a short time a tax for single women as well. I can't believe the restrictions you mentioned in N. Caroline where the girls of 14 had to leave home. What if they were needed to help out? What you mentioned about Connecticut is very helpful and may need to be considered in the novella that I'm writing since I had the oldest son inherit the family home because of the inheritance laws so I need to figure that one out. Any help would be appreciated. Life then is so foreign to us that it is sometimes had to imagine these strange ordinances. Thanks for a great post, Jennifer! Wow, that's interesting! I'd never heard of it either. Intriguing indeed. Thanks for sharing, Jennifer! It was definitely a shocker for me as well. The Salem community that I mentioned was Moravian. I want to write a Colonial Moravian Christmas novella. I think it would be fun! They are well known around here for their Moravian cookies! It's now a living historical village similar to Williamsburg. Now days we penalize marriage with our tax system. Things sure have changed! I live in Michigan which is not considered to be a part of Colonial America but I did find this book on Amazon if any are interested in more info on the bachelor and manhood of CA. "In Virginia's earliest days, many taxes were structured to take from the poor and provide to the rich. Until the latter part of the seventeenth century, the members of the governor's council were exempt from taxation; and only they, according to an early statute, could wear gold braid on their clothes. Virginians paid taxes to the colony, the county, and to the parish. Colonial taxes were poll taxes, allocated per capita. All slaves 16 years and older, and all free men 16 years and older, were classified as "tithables," and the head of that family unit paid the tax. (Children and white women were not taxed, but slave women 16 years and older were taxed.) Taxes were normally paid in tobacco, because cash was rare in the colony. There was no graduated income tax like today, where the tax rate is based on income levels and those with higher incomes pay more per dollar earned. If you were a tithable, rich or poor, you wewre require to pay the same number of pounds of tobacco to the colony. Since colonial Virginia family units with large numbers of men over 16, or large numbers of adult slaves, had greater income-producing potential and also paid more taxes, rich families paid more taxes than families with few slaves... but taxes consumed a higher percentage of the income of the poor." Wow, the taxation system in Virginia sounds pretty harsh. I hadn't heard of the bachelor tax either. Peggy, Sometimes I'm afraid of how much things have changed--and most often, not in the right direction these days. Thanks for stopping by! Stacie and Virginia, Thanks for the links and the extra info. One never knows where we might find a gold nugget of a story layered in those tax laws! Charity, Thanks for stopping by! As for the IRS, I think they might roll over. The IRS spends way too much time and money going after the middle class "mistakes" rather than these BIG businesses who find all these legal loopholes to get out of paying the taxes they should be paying so the people wouldn't be so burdened. I'd never heard of the Bachelor Tax either. 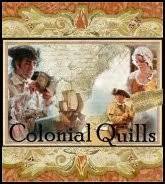 I did know about the Salem Moravians and their community structure, as they play a minor role in one of my novels. I believe they also had one of the first fire engines... if not the first. I'm studying North Carolina marriage laws right now, having acquired a massive tome called NORTH CAROLINA GENEALOGY AND LOCAL HISTORY, edited by Helen F.M. Leary and Maurice R. Stirewalt. It's huge, and I'm just getting into it good, but so far no mention of a Bachelor Tax. Nor is it listed in the index, so perhaps NC didn't have that particular tax. Very interesting! 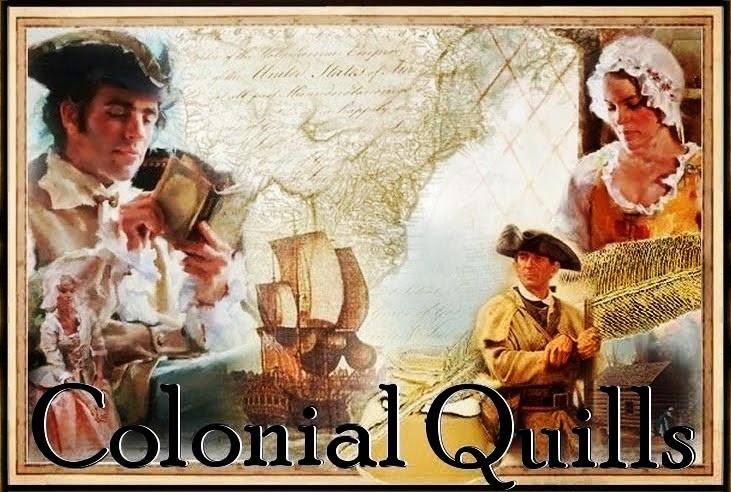 Citizen Bachelors in colonial America - this was posted on Eastern Michigan's website. My bro graduated there. Looks like a great resource, Jennifer. I am going to put two in my basket if I can locate it on Amazon. One for me and one for you! It is the same book Stacie gave a link to but the link sounds "suspect" LOL with manhood put in there in the description. Anyway, this book was put out by Cornell, Dr. John Gilbert McCurdy. Only five books left, so I am placing my order now! Besides building homes & developing their land, they needed to build a family for survival as well. And many (men and women) were remarried because of the short life spans of spouses. I never heard of that! Very interesting, I wonder what my brother would think of that! LOL! Faye, thanks for stopping by! Wow... it seems I learn something new every time I read your blog. Laura, I agree. It's going to be great learning from everyone here. Lori, Sounds like you and I are both North Carolinians. We probably need to exchange notes! Carrie, Thanks for digging up that info. We can always count on you. Pat, That's true. They had multiple marriages due to spouses dying so young. It must have been so hard. I can't imagine what our children and infants would do without antibiotics. Interesting side note from American history. Thanks. I love learning tidbits like this one.